The genesis of the first Mongol State (1206) was overseen and led by Genghis Khan, whose conquests remain a formidable historical series of events. The Secret History of the Mongols narrates his biography as a tale of surviving repeated life threats and defeating major enemies. From this history, I have extracted an existential framework to explain how he survived in a dangerous natural, social and political environment. The rise of this State compressed what occurred in most other historical States, and I will summarize my Anthrocentric Security Theory as general explanation of this phenomenon, drawing on Western philosophy, especially philosophical anthropology. The framework consists of four levels of Being - state of nature, life- community, State, and civil society. Each level has enabled humans to devise several Security Action Platforms from which are launched particular security actions, culminating in the State. 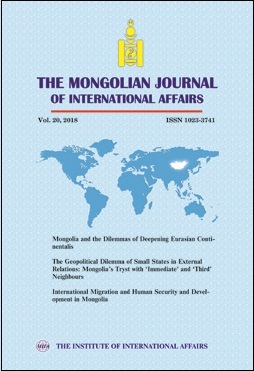 Successful in three stages, but not in creating a civil society, the Mongol State assimilated and absorbed the strengths of natural men and life-communities, enabling the expansion into Eurasian empire under his sons and grandsons.